Risk Management: How it applies to your financial plan - Insurance | GTA Wealth Management Inc.
Strategic Insurance coverage and investment diversity is a critical part of any financial portfolio. 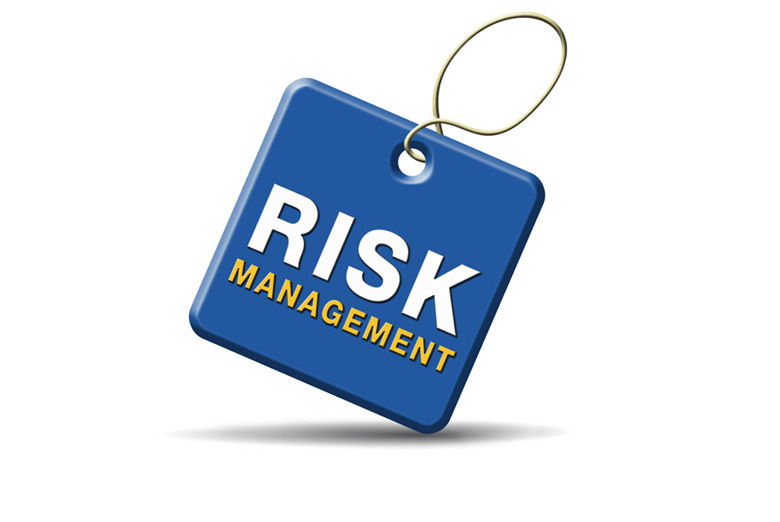 Risk management is an often overlooked piece of the financial puzzle. However, this can be crucial. Over the years, our wealthy clients have commented that the following issues have been risks to achieving wealth: job loss, business legal issues, divorce, health, high risk investments, poor cash management, poor tax planning etc. The proper planning is essential in all these areas. If these areas are handled inappropriately, the consequences can be devastating financially. For example, many clients have neglected filing income tax returns on time. Over a number of years, this could lead to a substantial back tax bill. If you have not kept your income tax filings up to date, the Canada Revenue Agency (CRA) can estimate your outstanding back tax liability. This could be an overzealous estimation on the tax department's part to ensure they get the back taxes they estimate you owe. The next step for CRA could be a wage garnishment of 50%. This happens quite often. So, to avoid this nuisance of a notional assessment and a wage garnishment, timely tax preparation should be on the “To Do List” for everyone. Have a financial advisor / tax accountant at GTA Wealth assist with your annual tax filings and rest easy. Ideally, you should complete your income tax returns on an annual basis; therefore, you can reduce your income tax return filing risk. Another example of high risk activity is neglecting health coverage. The foundation of your financial plan is you being able to generate income; if you lose that asset, you lose your ability to achieve wealth. We have witnessed scenarios that are harsh and could have been prevented. For example, death is always an unfortunate outcome; however, this can be devastating to the loved ones left behind. Unanticipated illness or disability can also wreak havoc on a financial situation. It is wise to review your life insurance, critical illness insurance, disability insurance and long term care coverage; certain life events will change the need for different amounts and type of coverage. For example, changing from an employment arrangement to a self employed arrangement will result in a review of your income protection needs. Investment planning is also something that needs to be addressed. Holding companies can be used to hold investments and reduce the risk of creditors accessing this excess cash. The cash from the operating corporation should be transferred to the holding company. Segregated funds offered by insurance companies can also offer creditor protection; however, the fees to operate these funds are higher than mutual funds. The risk of your investments should also be evaluated; having all your assets in one type of asset can result in concentration risk - all you eggs in one basket concept - diversity is best. High risk investments can pose a risk to an individual’s wealth creation. We have seen clients lose substantial amounts of money from not being well diversified. Individuals will have a large portion of their portfolios in currency, resources, precious metals, emerging market investments, small cap stocks etc. A well balanced portfolio of dividend paying stocks, large cap stocks, corporate bonds, government bonds, high yield bonds etc. will be your best defence against the market ups and downs. How is Your Income Protection? Financially astute individuals tend to purchase three types of income protection - life insurance , critical illness insurance and disability insurance. Why? These financially concerned individuals understand that their biggest asset on the road to creating wealth is themselves. They understand the risk that is present with premature death, illness and disability; and they protect it with these income protection options. Employees are usually offered coverage at work; however, this coverage is usually weak and insufficient. The employer can cancel it at any time and if you leave the company you don’t have the coverage any more. The income protection is the foundation of your wealth management plan, and is often neglected by individuals. Your foundation should include a will, an emergency fund, life coverage, critical illness coverage and disability coverage. Critical illness insurance has become a very popular solution. Critical illness insurance coverage provides a lump sum of cash if you contract an illness i.e. cancer, heart attack, stroke etc. The most popular option with critical illness insurance coverage is that you can have all your premiums refunded to you if you do not make a claim. That is right!! You get all the money you paid returned to you. A win win situation for the client. Since these aforementioned insurance coverages are usually insufficient through work plans, and self employed individuals have no coverage; it often represents a significant uninsured risk faced by families. When reviewing your financial / wealth management plan, individuals need to to consider these types of coverages as a key component of their wealth building strategy. Free financial review: With the preparation of a tax return, GTA Wealth will provide you with a free financial needs analysis i.e. tax planning, investment return review etc.. Integrated tax solutions can make a positive difference to your financial planning. Expertise: Tax Accountants and certified financial advisors to provide you with the advice you need to retire early, educational saving plans for your children, investments etc. ; all with an integrated tax strategy to help save on the income taxes you pay. Efficiency: GTA Wealth can provide multiple services. This can save you time and money; one financial advisor to help you with your income tax, investments, mortgages, and insurance. Flexible: GTA Wealth has multiple offices across the GTA and flexible meeting times to meet your busy schedule. Do not subject your financial health and security to chance. The financial advisors and tax accountants at GTA Wealth Management offers a free financial needs analysis. Why not take the opportunity of determining if your financial plan has the correct levels of risk management. You have nothing to lose and everything to gain. You owe it to yourself and your family, do not gamble with your financial security and wealth generation. Contact or call the financial advisors at GTA Wealth Management Inc. toll free at 1 855 GTA WLTH (855 482 9584) for all your tax returns, tax planning, investments, life insurance, critical illness, long term care, disability insurance, mortgages and investments. GTA Wealth Management Inc. has three convenient locations in Mississauga, Toronto and Markham to serve you.